Is a Career as a Holistic Healthcare Professional Right For You? Take a class or two this summer and see! Emperor’s College makes it easy for you to explore acupuncture classes before committing to a master’s degree in Oriental medicine. Explore your future! 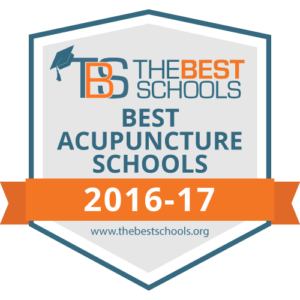 Who should take our introductory acupuncture classes? Anyone considering going to acupuncture school. Anyone who’s ever wondered what Chinese medicine is all about. Anyone that is interested in herbal medicine. Anyone seeking a better understanding of their health. Click here for Opening Series registration and forms. Emperor’s College, the #1 acupuncture school in California, offers acupuncture classes in Los Angeles to help prospective students decide if a career in acupuncture and Oriental medicine is right for them. Click here to see why students chose Emperor’s College over all the other schools and options they had. Take a class in the fundamentals of Oriental medicine, learn the basics of Chinese herbal medicine or get introduced to power of the tai chi, qi gong or meditation. Academic credit is awarded for all Opening Series classes, so if you decide to enroll in the master’s program your credits will transfer. Summer Opening Series classes begin June 27, 2019. Get the summer schedule of classes here. No prior knowledge of Oriental medicine is required. Enrolled students must have previously completed a minimum of 60 semester units (90 quarter units) of undergraduate level coursework. For more information about Opening Series or the master’s degree program in acupuncture and Oriental medicine, please contact admissions@emperors.edu or 310-453-8300 ext. 117.